A couple of years ago, I wrote about Chris Fritton, aka “The Itinerant Printer.” At the time, he was about to set out on a journey to create a series of letterpress prints in shops all over the United States. A mere 730 days, 45,000 miles, 15,000 prints, and 120-plus shops later, he’s still at it. He’s about to kick off the final leg of his tour, which will take him through my own neck of the woods in the Northeast. 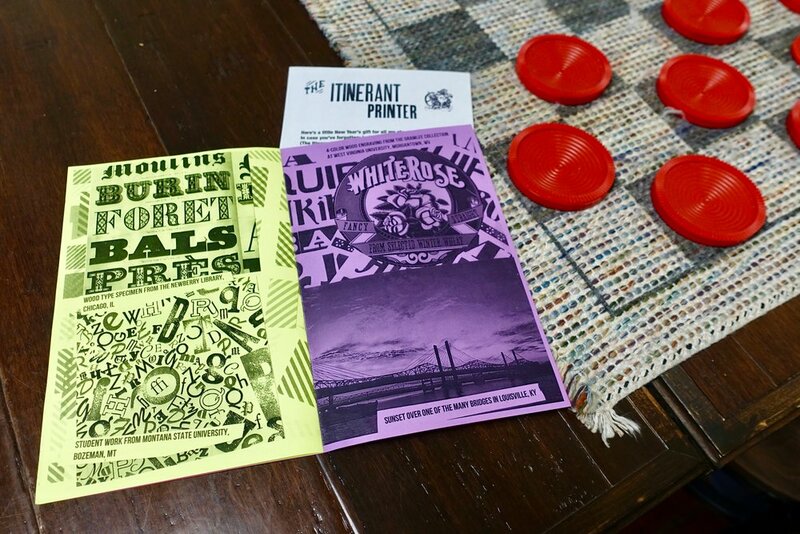 To promote the home stretch, he surprised his past IndieGoGo backers with an old school zine with highlights from his past travels. It was a neat way to rekindle the fun of the original campaign. If surprise hand-printed coolness in your mailbox sounds like fun, you can still get in on some mystery prints from the journey on IndieGoGo. He’s also putting together a coffee table book chronicling the journey that you can bundle in. You can follow the rest of The Itinerant Printer’s journey on Instagram, Twitter, and Facebook.